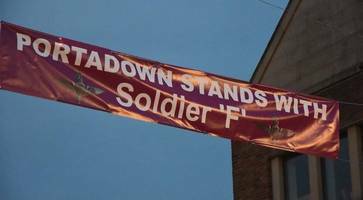 Sinn Fein has hit out after a banner appeared in Portadown in support of a soldier facing prosecution for killings on Bloody Sunday. 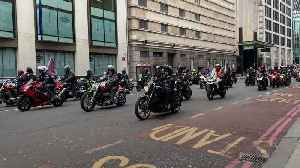 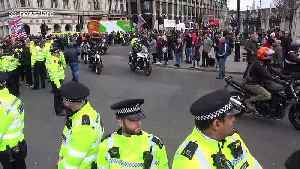 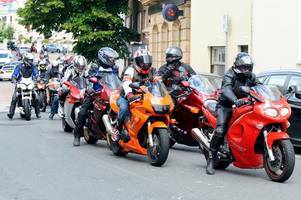 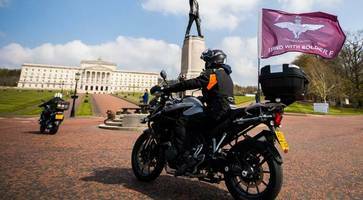 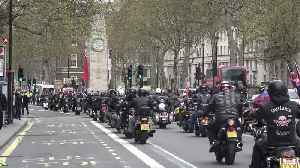 A group of bikers rode to Stormont in a show of support for a soldier who is being prosecuted over Bloody Sunday. 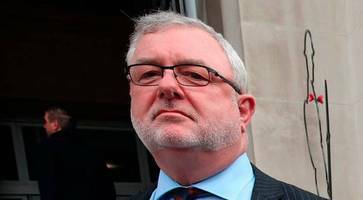 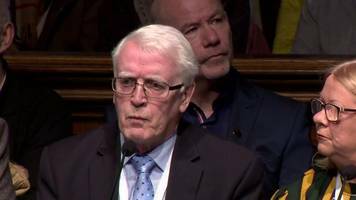 Three former soldiers who served in Northern Ireland have returned their medals to the Prime Minister along with 23 white feathers in protest of the decision to prosecute one soldier over the Bloody..
A man shot and wounded as he remonstrated with soldiers on Bloody Sunday was later allegedly subjected to repeated raids on his home, the High Court heard today. 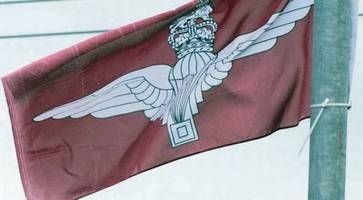 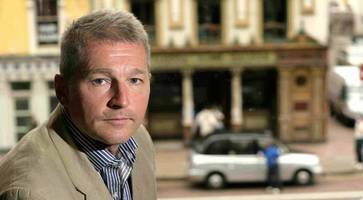 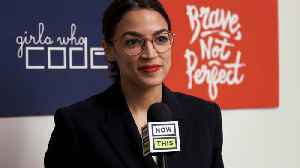 An SDLP representative has hit out at the flying of Parachute Regiment flags in Belfast describing it as an "insult" to the families of those killed at Bloody Sunday and the Ballymurphy massacre. 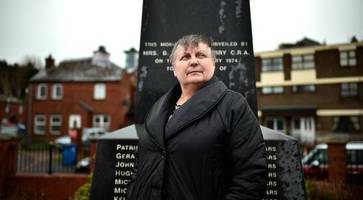 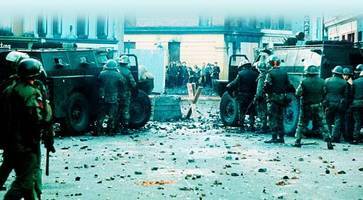 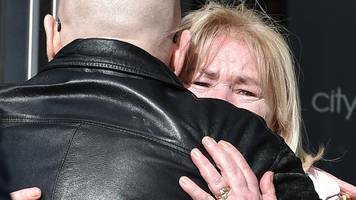 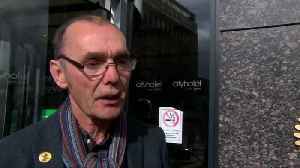 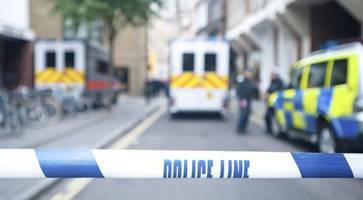 The sister of a teenage shop worker shot from behind as he crawled away from soldiers on Bloody Sunday has said she would like to meet his killer. 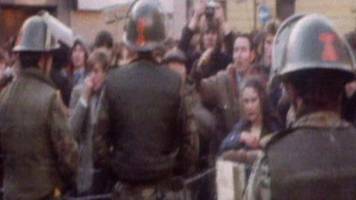 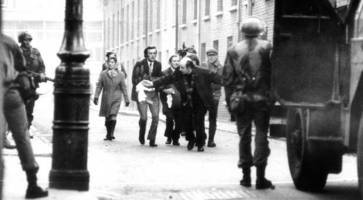 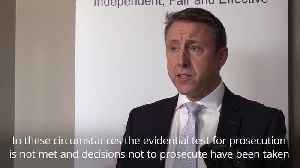 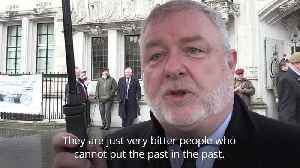 A Sinn Fein politician linked to a soldier's killing has been criticised after he supported a march protesting about the lack of Bloody Sunday prosecutions. 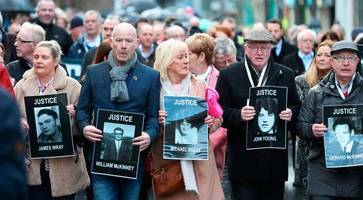 Reaction from Thursday's Bloody Sunday murder charge is story dominating Friday's front pages. 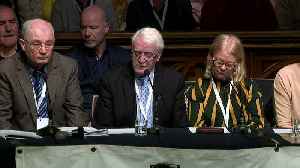 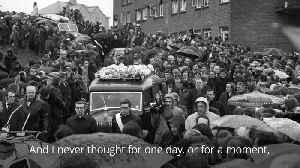 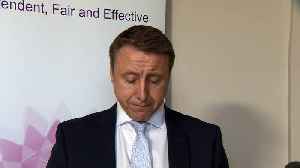 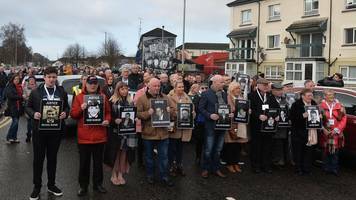 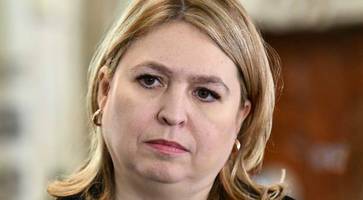 Their soft voices may have whispered a "no comment" but the solemn faces of the Bloody Sunday families spoke volumes about their disappointment as they filed slowly out of their meeting with the Public..
Secretary of State Karen Bradley has paid tribute to members of security forces who "served with courage and distinction" in Northern Ireland, just hours after it was announced a former soldier would..
Linda Nash, whose brother was killed on Bloody Sunday says 'we will keep going'. 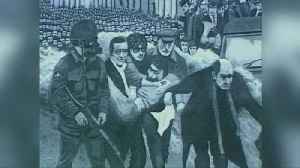 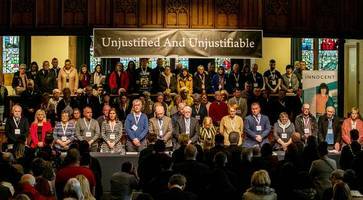 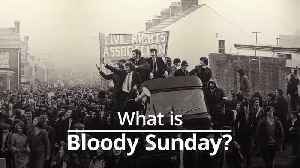 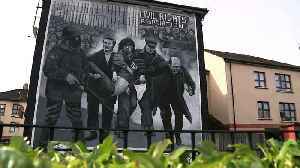 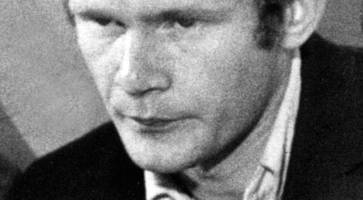 The families of 13 people killed in Londonderry on Bloody Sunday have spoken of their devastation and deep disappointment that the Public Prosecution Service is to pursue charges against a single..
One former British soldier will be prosecuted for two murders in the "Bloody Sunday" killings of 13 unarmed Catholic civil rights marchers in Londonderry by British paratroopers in 1972 - one of the.. 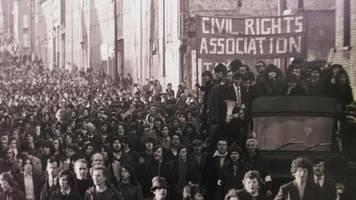 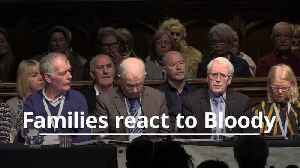 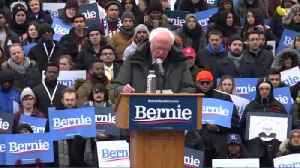 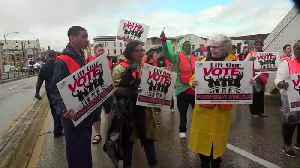 Families of those killed on Bloody Sunday react to the news that one soldier will face murder charges.